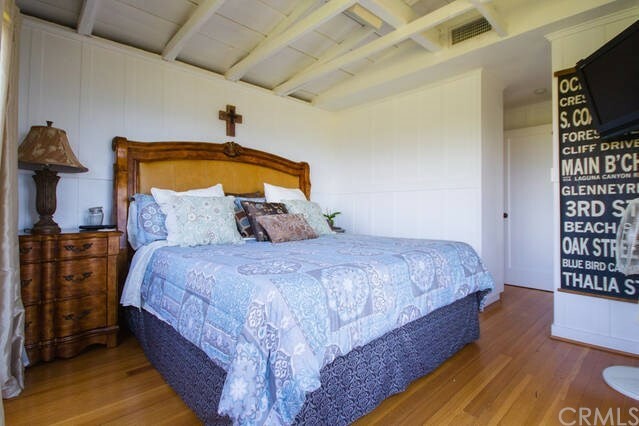 2 beds | 2.00 baths | 1,403 SQ.FT. 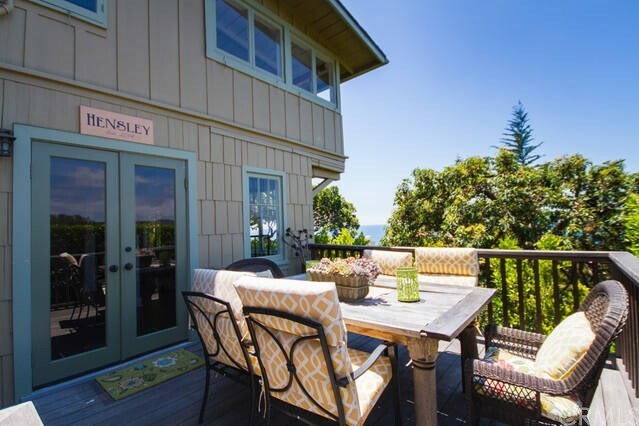 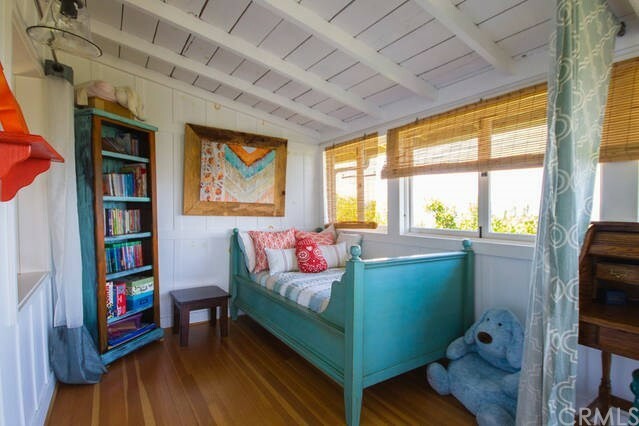 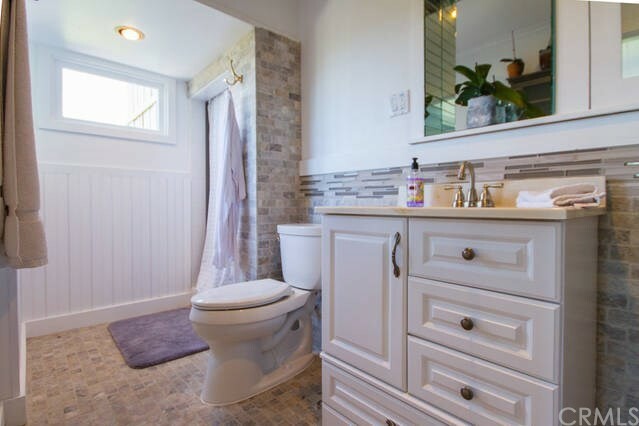 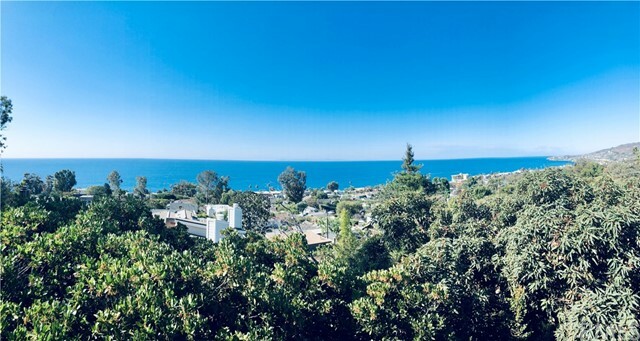 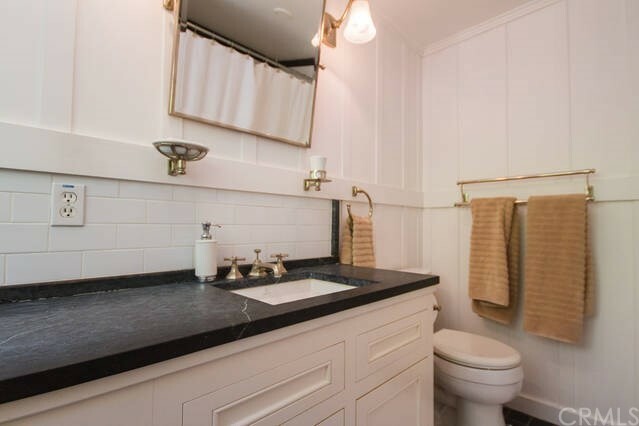 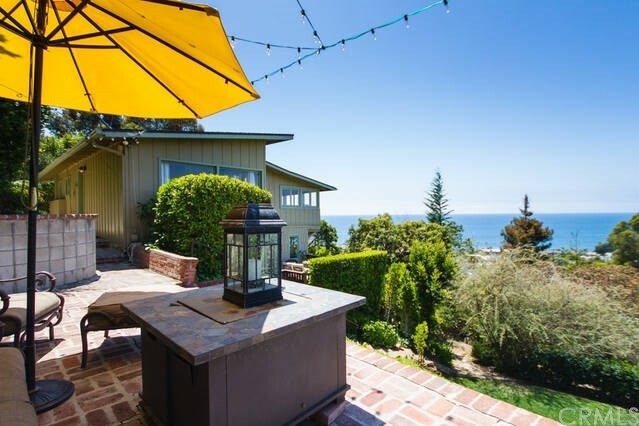 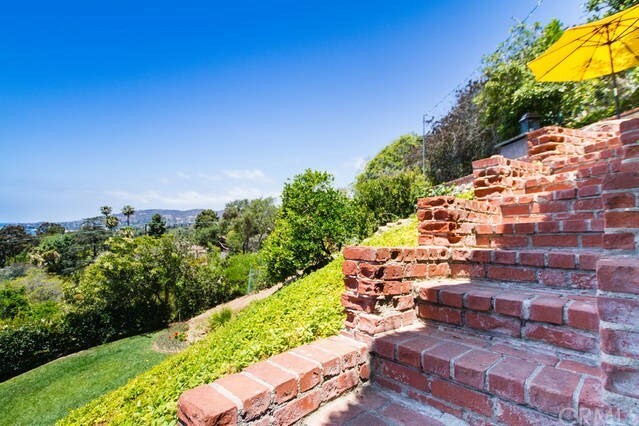 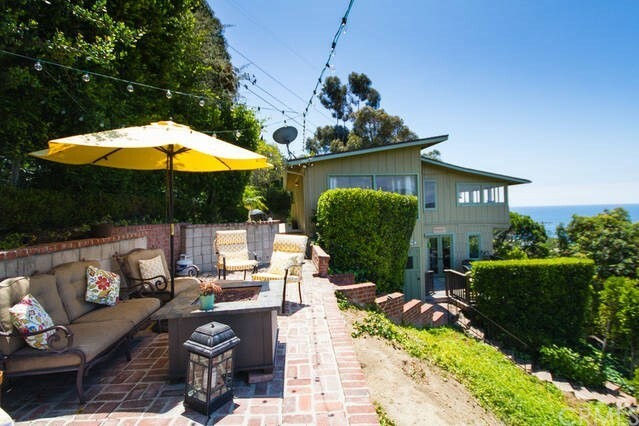 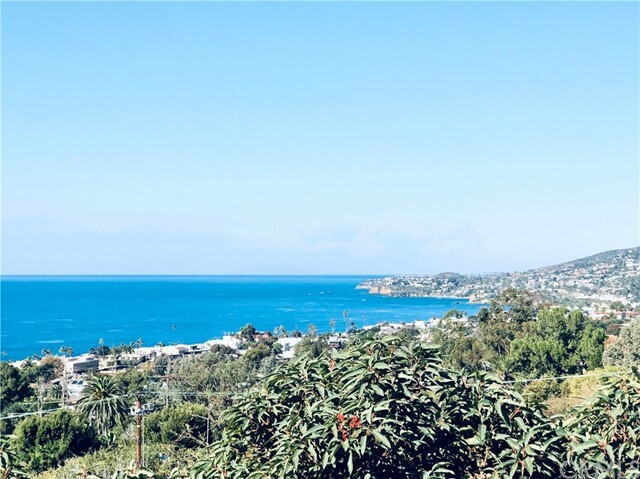 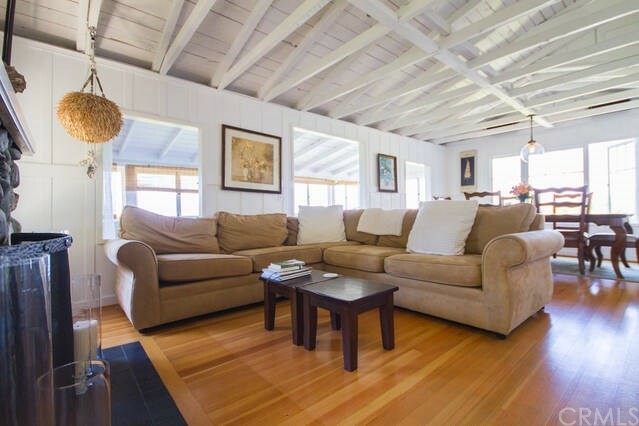 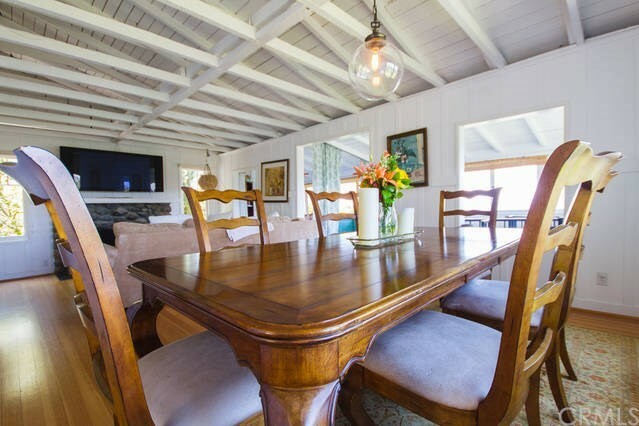 Privately secluded air-conditioned Two Bedroom plus Den/3rd bed, fully renovated quintessential 1927 batten board Bungalow with stunning panoramic coastline and Catalina ocean views. 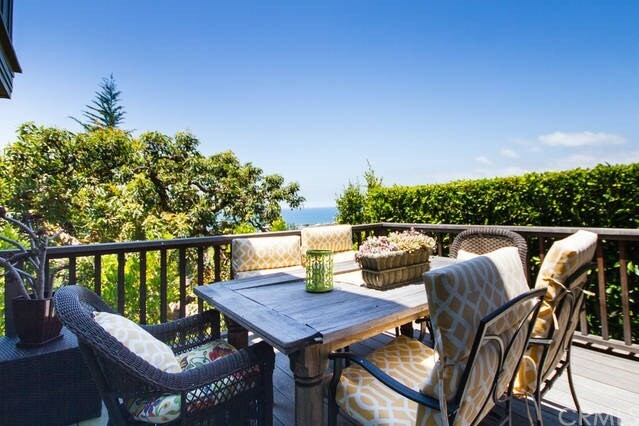 Completely furnished and remodeled with the highest quality materials which include a 30' Wolf Gas Range, GE Monogram refrigerator, Douglas Fir flooring throughout stone wood burning fireplace. 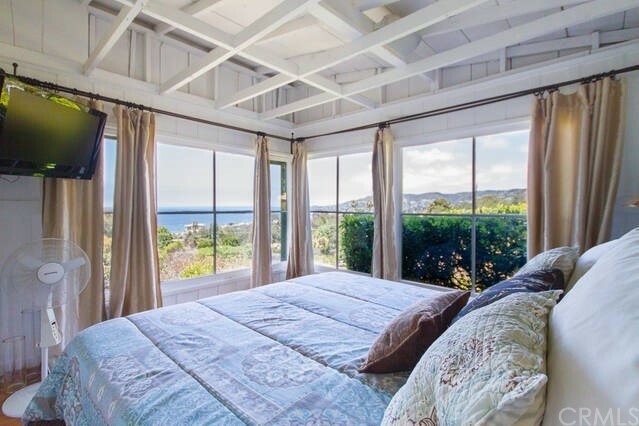 Dramatic unobstructed ocean and north coast views can be enjoyed from all major rooms in the house with the open layout and wall to wall windows. 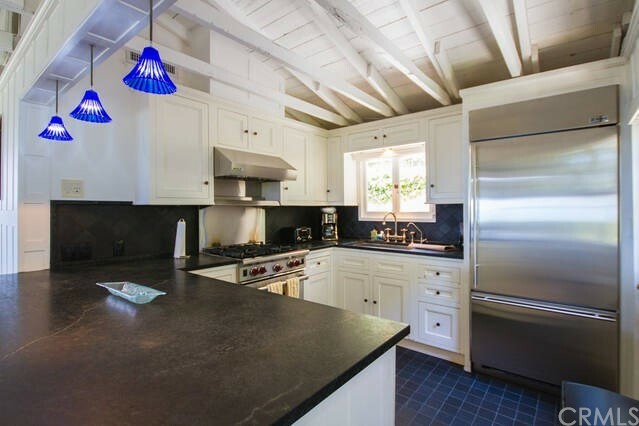 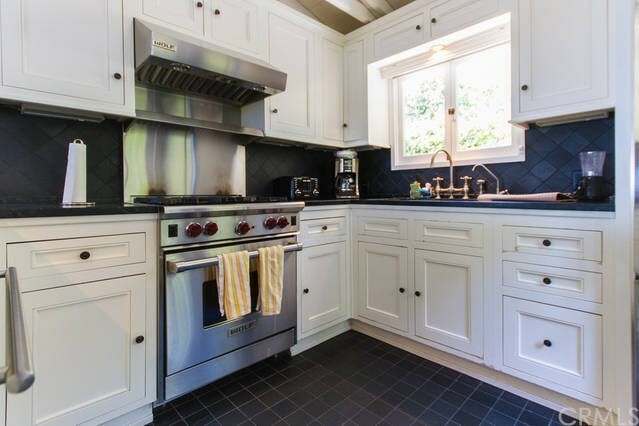 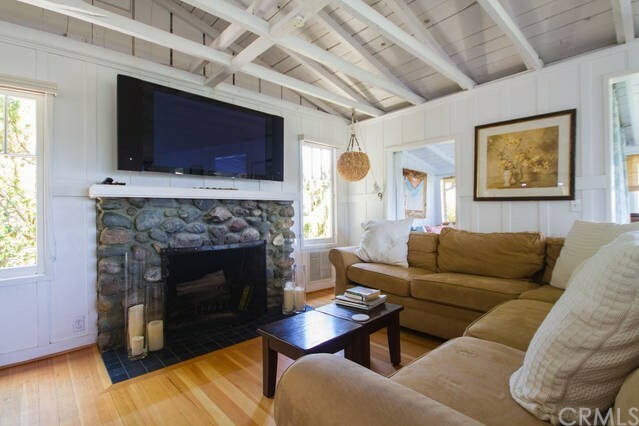 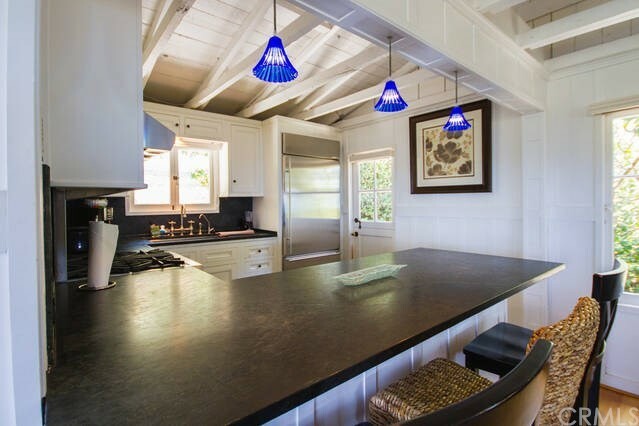 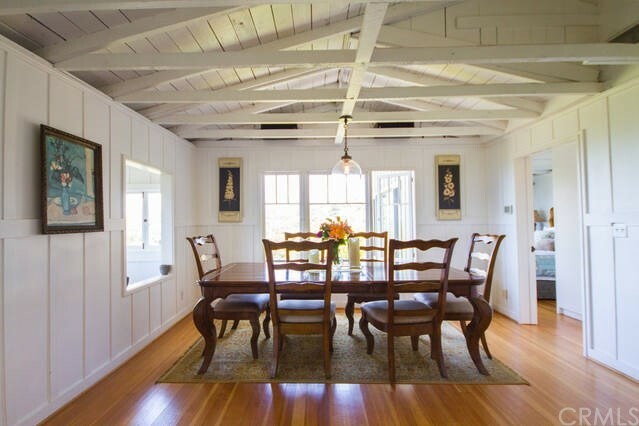 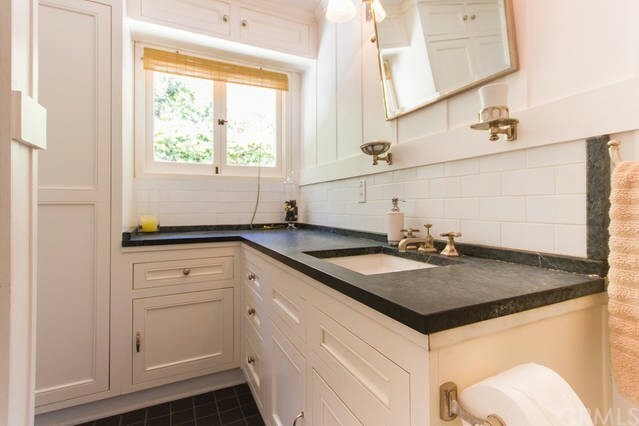 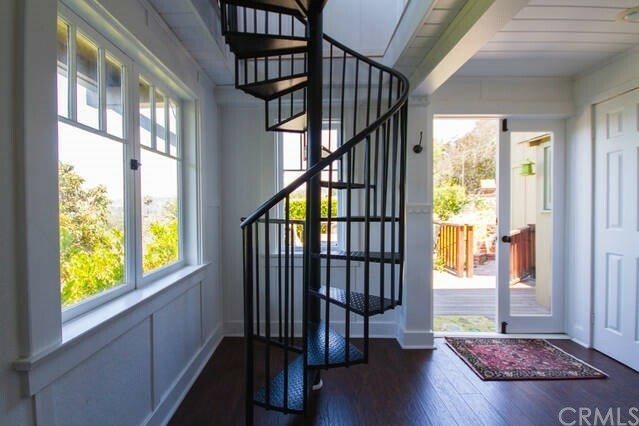 The character and charm of this original 1920s cottage has been lovingly restored within an extremely private 'Old Laguna' setting, secluded from neighbors amongst mature trees and foliage just 4 blocks walk to exclusive Woods Cove beaches. 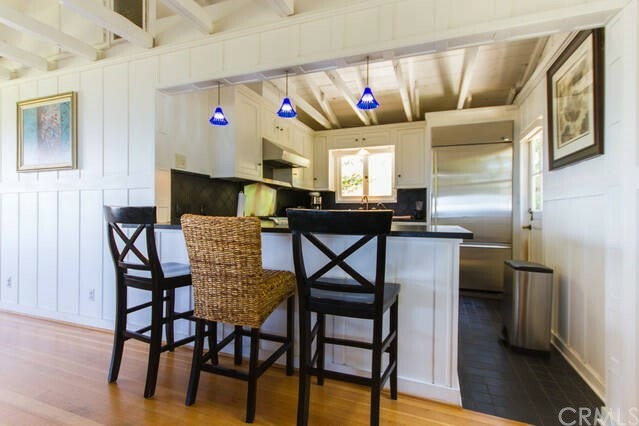 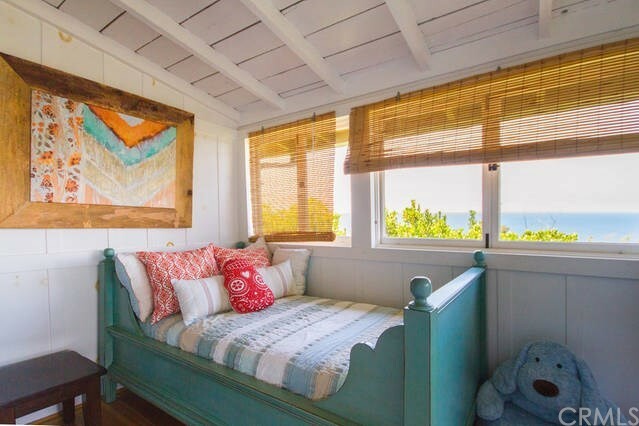 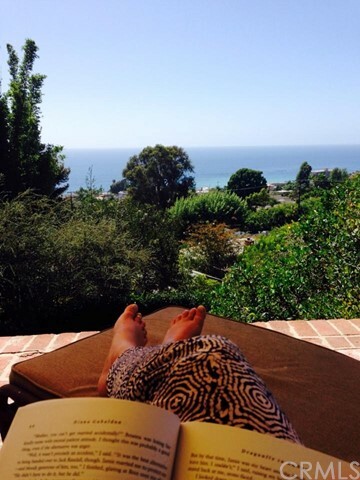 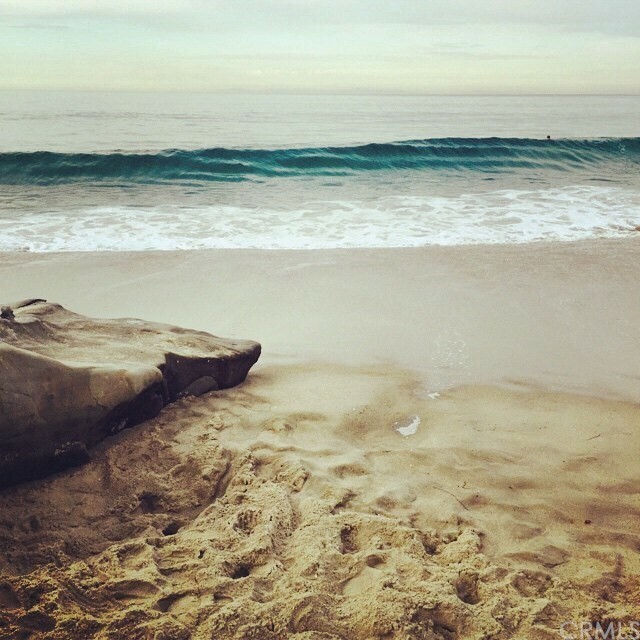 You will feel one with nature in this serene setting with all the comforts of home within the heart of Laguna Beach.